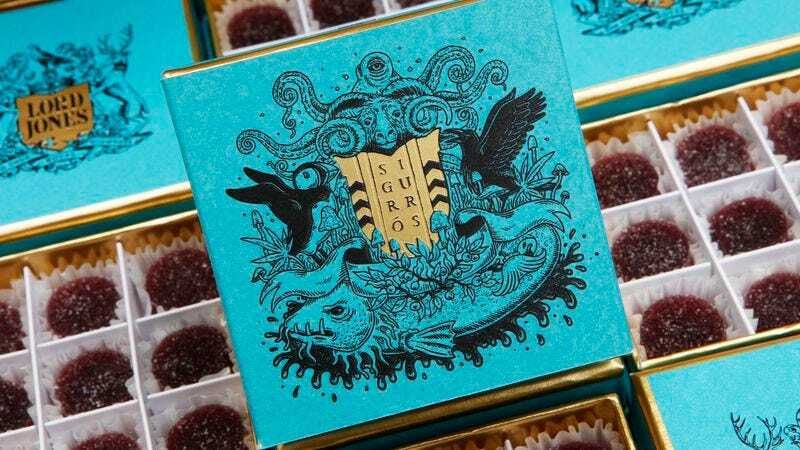 In one of the most appropriate collaborations in recent memory, Sigur Rós has announced that it’s teaming up with Lord Jones—”purveyor of the world’s finest cannabis-infused products,” according to a press release—to make a limited-edition line of weed-infused gumdrops. The candies will be called “Wild Sigurberry” drops, and they’ll be “inspired by the flavors of foraged Icelandic berries” in honor of Sigur Rós’ homeland. They’ll also be packed with a proprietary blend of Lord Jones’ secret THC and CBD magic, with different formulations based on your cannabis tastes and what’s legal to sell where you live. The Sigurberries are available at the Lord Jones website now, and they’ll also be sold at select California dispensaries. You can see some images of the weed candy’s surprisingly fancy box below.